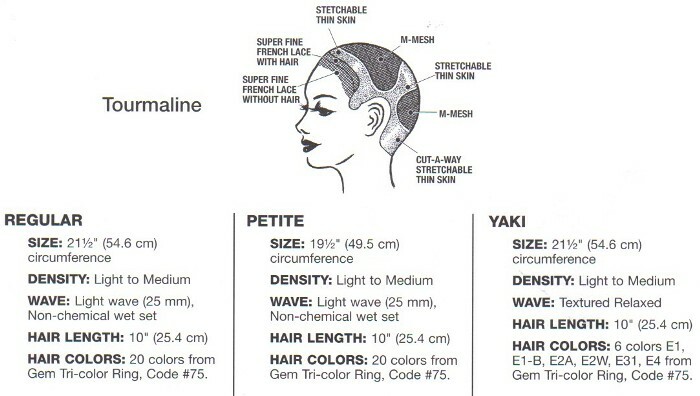 The Tourmaline Wig is a full cap lace front wig for woman with extensive hair loss. Made of the finest materials, this system is one of the most popular designs available. It is light, natural looking, and has flexibility in styling. The base materials consist of durable fine monofiliment with thin, clear, stretchable polyurethane borders. This allows for flexible attachment options using clips, tape, or bonding glue. The wide borders also allow for considerable adjustment of the size around the nape, ears, and temples. The system can also be worn without any attachments providing the fit is snug. The nape area now features added stability wefts for reduced hair loss in the nape.